​Vice-Admiral Mark Norman's lawyers have released a list of elaborate codenames they claim defence officials used in an attempt to bury documents sought by the defence in relation to his breach-of-trust case. Lawyers for the military's former second-in-command claim that, in order to thwart document searches related to his case, defence officials have taken to using a variety of aliases in their communications. One of those codenames — 'Kracken' — could be a (misspelled) reference to the giant monstrous squid of legend best known to modern audiences for appearances in the Pirates of the Caribbean films. Norman's lawyers entered into the court record at Tuesday's pretrial hearing in Ottawa a full list of aliases they say were used by defence officials for their client — including the substantive VCDS [Vice Chief of the Defence Staff], MN3, C34 and 'The Boss.' Norman's defence team is battling with the federal government for the release of documents they claim are relevant to his defence. Last month, the court heard that senior staff at National Defence avoid using Vice-Admiral Norman's name in internal correspondence as a way to keep his records out of the public domain. The allegations were made at a pretrial hearing last month by a member of the military who handles access to information requests. The military member (whose name is protected by a publication ban) told the court he approached his commander in July 2017 asking for help with an access-to-information request for internal documents about Norman. His commander, he said, smiled and said there were no records because officials were being careful to avoid using the vice-admiral's name in memos, email and briefings. That would mean any search for records about Norman would come up empty. Ironically, Norman's lawyers obtained the list of codenames through an access to information request. In a year-end interview with CBC News, the country's top military commander, Gen. Jonathan Vance, flatly denied the Department of National Defence uses aliases to hide documents. "We don't hide names. We don't use codenames," he said. "If it was done, if it has been done, it's wrong, dead wrong and we'll stop it." Vance was slated to testify Tuesday, but his appearance was pushed back a day as former federal cabinet minister Scott Brison's lawyers were granted standing in the case. Norman's lawyers have accused Brison of political interference in the shipbuilding deal at the centre of the case. 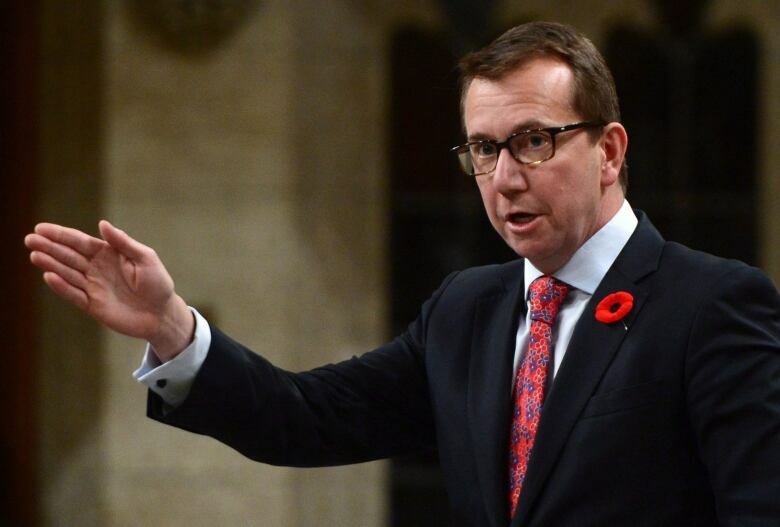 "Mr. Brison did not review this procurement at the behest of Irving because he is 'Irving's Boy,"' reads Brison's application for standing. "This pejorative comment ... and others like it, appear to suggest that the applicant made his decision to review the naval supply ship procurement at the behest of Irving. Such allegations are utterly false." Norman's lawyer, Marie Henein, said those items of correspondence should have come up in the federal government's hunt for relevant documents. 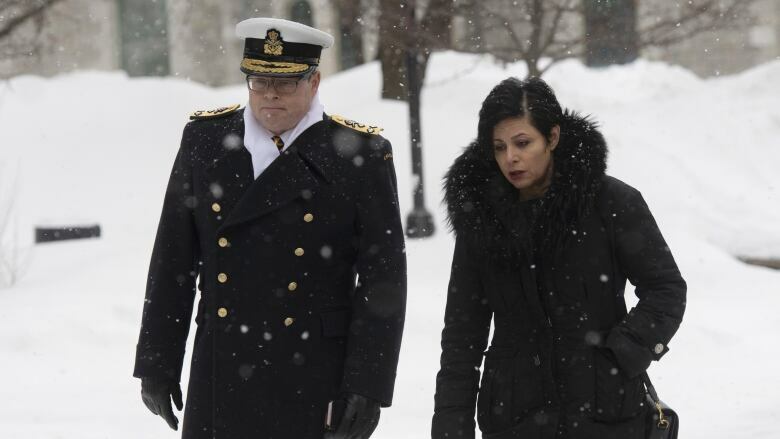 Henein said it's another indication that the search for documents relevant to the vice-admiral's defence has fallen short. "I have no confidence that it has all been captured," she said. He said Brison's lawyers contacted him and offered the emails, but wanted to deliver them personally. In the application for standing, lawyers said Brison appreciates Norman's right to mount a full defence and does not want to hinder his efforts to obtain all relevant documents. Brison is prepared and ready to cooperate, but wants legal standing in the case to "protect against unmerited intrusions into his privacy, and to ensure that disclosure requests are clear and complete," the document reads. Much of the day was taken up by Norman's lawyers questioning the Privy Council Office bureaucrat in charge of the search for government records. Patsy Bradley testified that retrieving some records at National Defence has been a challenge because of a policy that requires the contents of dormant email accounts of political staff to be "wiped" after six months.